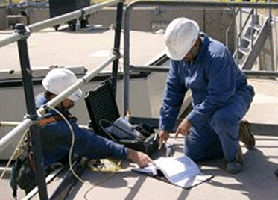 Facility Operations – Santa Barbara Applied Research, Inc.
SBAR provides the full range of Operations and Maintenance (O&M) support to our current clients. Services range from Base Operations Support (BOS) contracts, Operation, Maintenance and Refurbishment of Launch Facilities, and Installation, Maintenance and Support of Computer Equipment and associated Local Area Networks. These services are provided throughout the United States at NASA’s Jet Propulsion Laboratory (JPL), Vandenberg Air Force Base in California, and Pittsburgh’s Air Reserve Station in Pennsylvania. Our past performance has proven that we can take on the challenge of supporting the government’s critical facilities and infrastructure in an efficient, cost effective manner. Our ISO9001 certified quality approach is considered by our customers to be exceptional. Listed below are some examples of our success stories. SBAR was awarded three major BOS and O&M contracts to support Vandenberg Air Force Base (VAFB). The awards include the Launch Operations and Support Contract (LO&SC), the Launch Communications Contract (LCC) and the 576th Flight Test Squadron’s Launch Support Services (LSS) Contract. On the LO&SC contract, SBAR provides Engineering, O&M, and BOS services for over 583 critical launch support facilities and associated equipment. Responsibilities include corrective and preventive maintenance of all heating ventilating and air conditioning (HVAC) systems, HVAC control systems, chillers, high-pressure boilers, plumbing, electrical, fire suppression systems, electronic security systems, lighting systems, power plant generators, emergency power systems, elevators, pressure vessels and water treatment plants. SBAR designed and installed major facility modifications and provides corrosion control services for all real property and installed equipment. 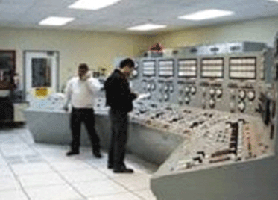 SBAR also operates and maintains the South Vandenberg Power Plant and mans the Vandenberg Tracking Station on a 24/7 basis during critical phases of the launch cycle. On the LCC contract, SBAR provides O&M on launch related communications equipment for the Western Range. 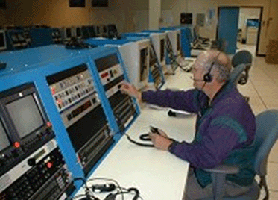 SBAR provides operational and technical support to missile and satellite launches and orbital support programs. SBAR provides the management, personnel, and equipment needed to operate, maintain, test, modify, and install launch critical communication systems, recording systems, administrative communications systems, public address equipment, electronic security systems, closed circuit television, photographic stations, timing systems and other required equipment at the Space Launch Complexes, remote launch control centers, satellite control facilities, and test facilities. During the launch process personnel are available on a 24/7 basis to address any problems or issues that arose during the launch. SBAR implemented comprehensive programs to support these efforts including: an ISO certified Quality Management System, a Reliability Centered Maintenance (RCM) Program, an Environmental Compliance Program, as well as OSHA and CALOSHA compliant Health and Safety Programs. SBAR provides management, planning, programming, administration, supplies, vehicles/non-vehicular solutions and the labor necessary to ensure that Launch Facility refurbishment, corrosion control services, vehicle and equipment control; and all environmental management, program management and training management services are performed as required for the 576th Flight Test Squadron (FLTS). In supporting the 576th FLTS, SBAR provides all management, material and services necessary to support the refurbishment of the Minuteman launch facilities, support to Space and Missile Competition exercises, management of maintenance programs, manpower management, facility program management, support plans and mission support equipment management, and environmental management including resolution of compliance issues. Other services include the issue and control of squadron vehicles and the management and control of equipment. Training Management Services include providing training classes and oversight of the Maintenance Instructional System Manager and the Instructional System Development specialist.